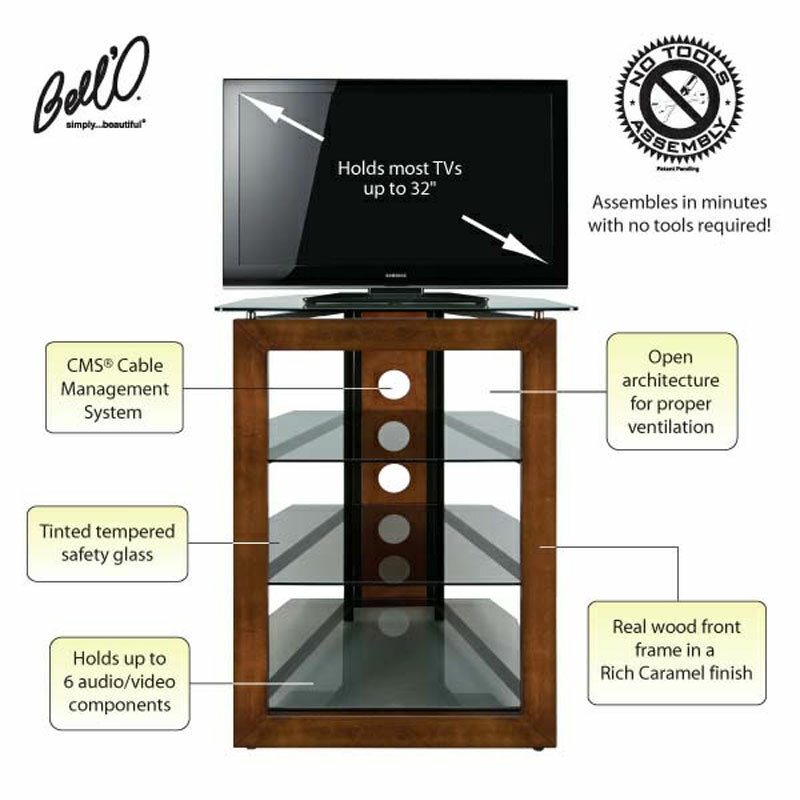 More on the Bello Solid Wood Front Audio Video Tower with Tinted Glass Shelves (Caramel and Black) AT306 below. This taller Audio Video System is perfect for the bedroom or den. 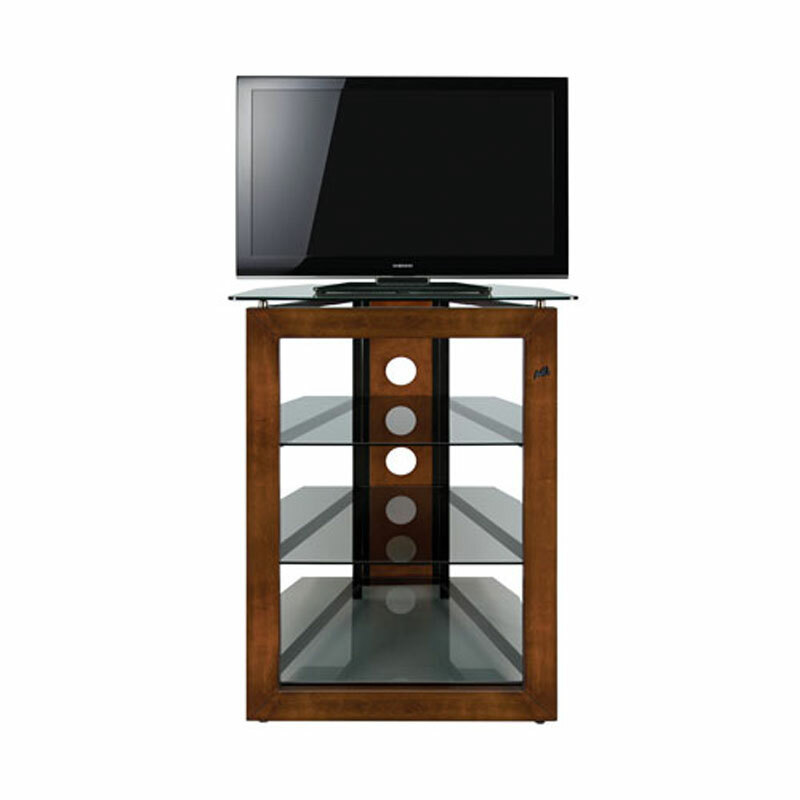 It is constructed with a real wood front frame in a Rich Caramel finish, Black scratch resistant, powder-coated steel frame, and tinted tempered safety glass. 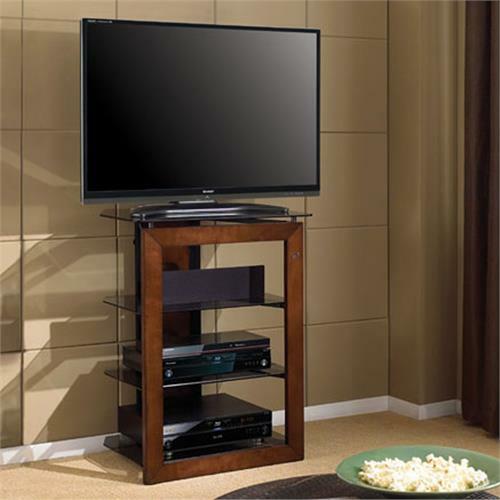 It accommodates most Flat Panel TVs up to 32 in., plus up to 6 audio/video components, it can also be used as a stand alone audio tower. An integrated CMS® Cable Management System hides unsightly wires and interconnect cables. 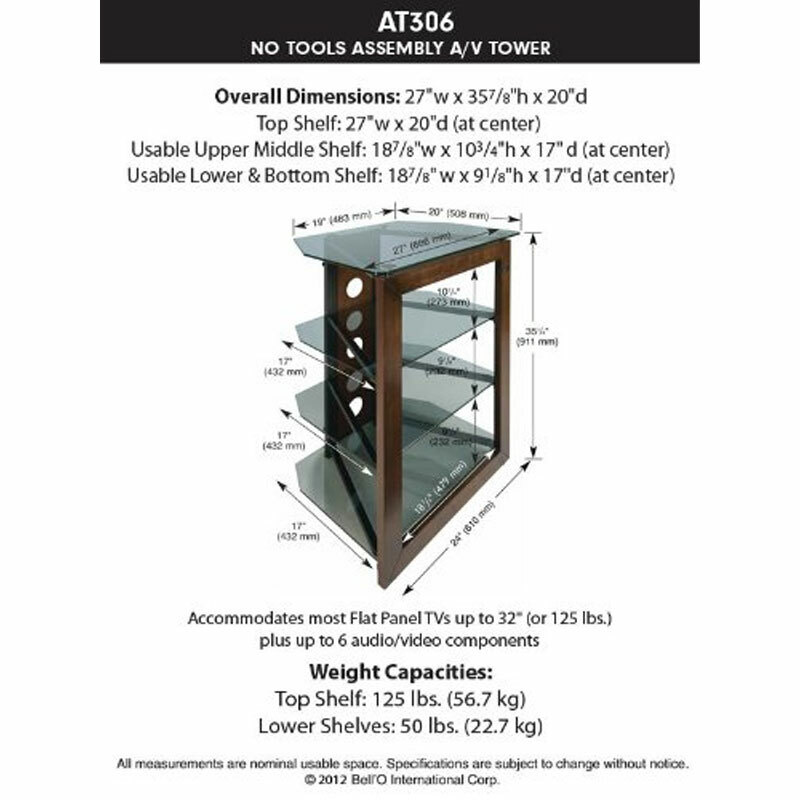 It assembles in minutes with absolutely no tools required. 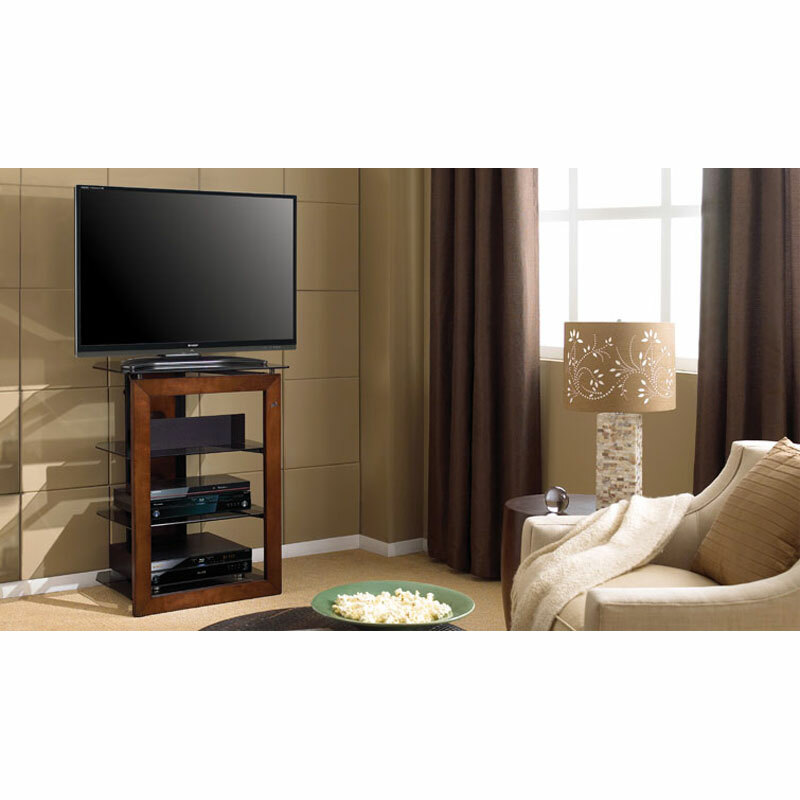 Accomodates most Flat Panel TVs up to 32 in. plus up to 6 Audio Video components. 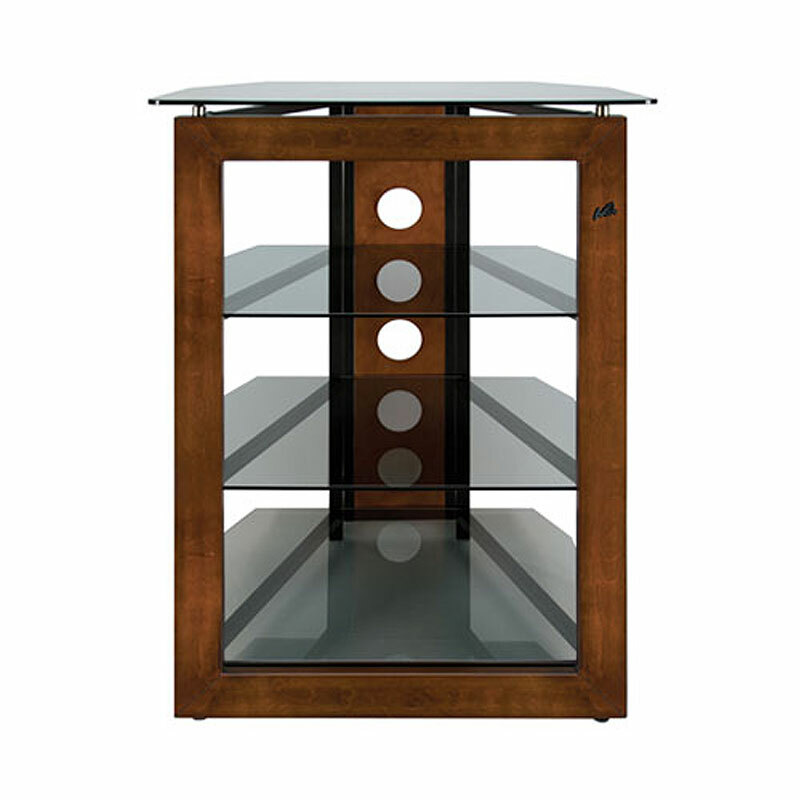 Real wood front frame in a Rich Caramel finish. 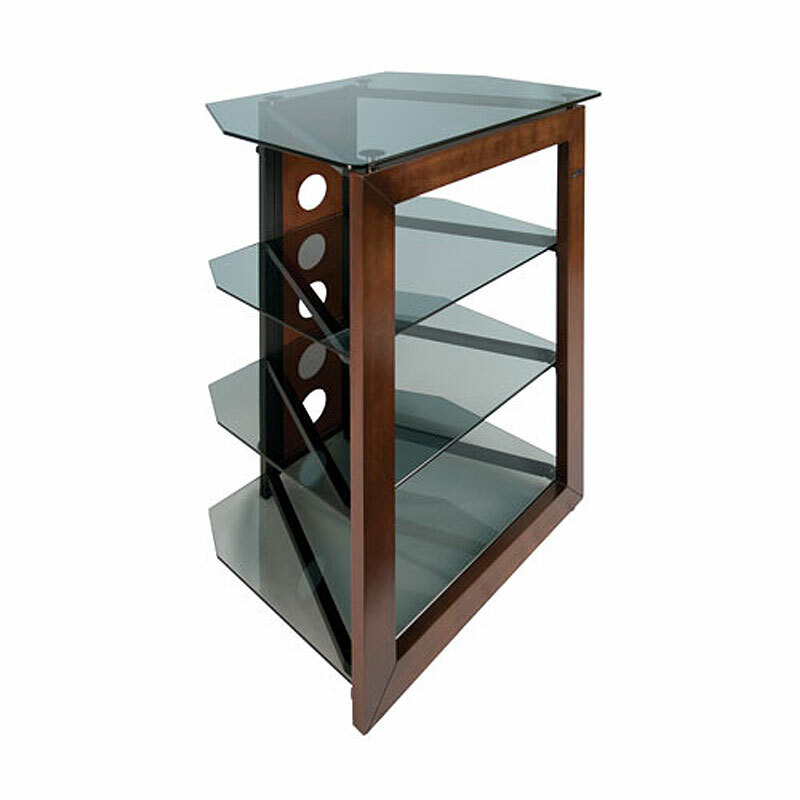 Elegant tinted tempered safety glass shelves. Open architecture provides plenty of ventilation for convection cooling of components. CMS Cable Management System hides and manages interconnect cables and power cords.